Hi Kate. You're most welcome. I have and love your new book! 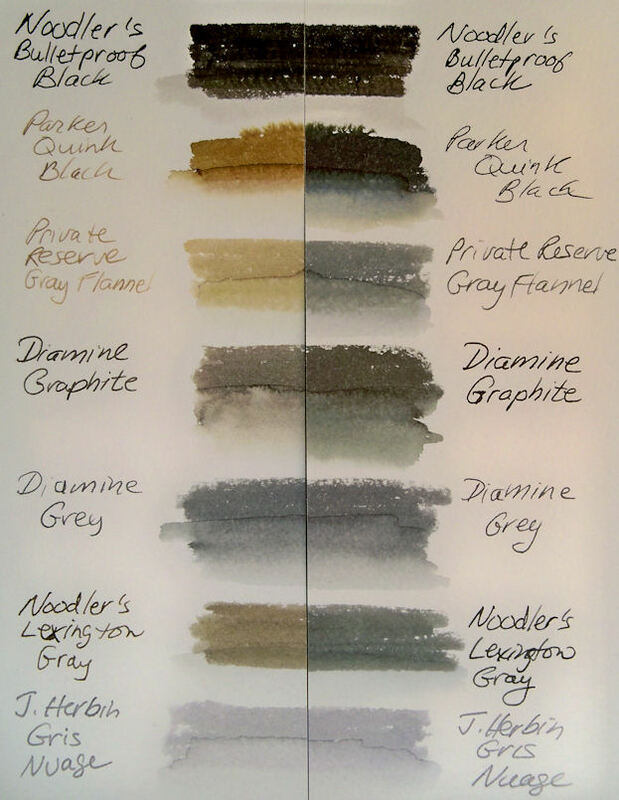 Noodler's Lexington Gray is a favorite of mine for inks that don't wash with water. As you can see above, it didn't fare so well in lightfastness tests, but in my sketchbook I'll continue to use it. 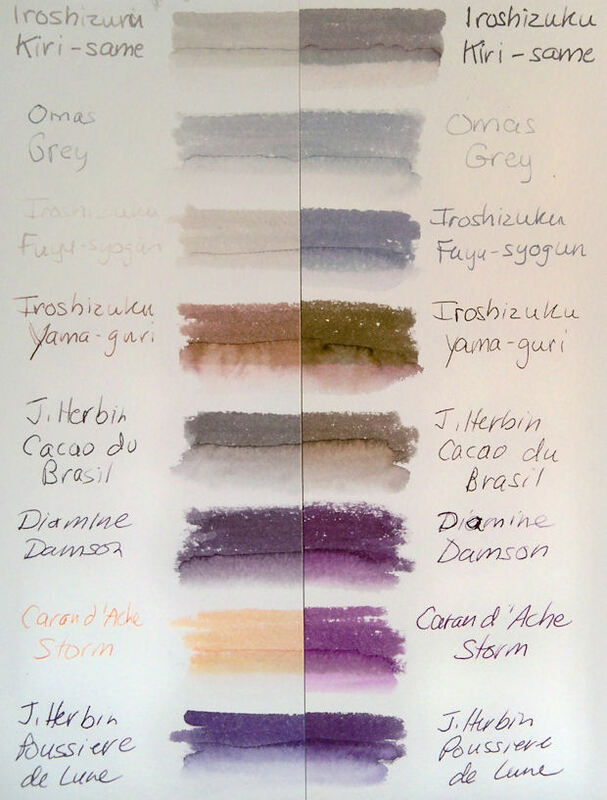 Noodlers Kung Te-Cheng, which I adore, is totally waterproof and stood up extremely well on these lightfastness tests. I highly recommend that color! It's gorgeous and addictive! I still haven't found a totally waterproof brown fountain pen ink, but I'm going to keep looking! Hi Jamie, sorry it took me a while to get back to you! I think it may also be humidity and how you're applying the Bulletproof inks...they work fine for my friend Vicky, using the same paper but living in a slightly dryer area. Kate, thank you for your opinion about the Platinum Pigment Sepia. Sounds good! I'm going to order a sample. Then I'll test it for lightfastness, as well as compare the waterproof qualities alongside Noodler's #41 old formulation, and Noodler's #41 new formulation (both of which I already have). Looking forward to your report! How long does it take to show fading, normally? I've taken months, before!